But does application of petroleum jelly to a cut really help? According to new study, applying petroleum jelly to a cut could actually prove to be harmful. Researchers claim that using petroleum jelly damages the 'natural plaster', or protective film, your body creates over a wound. This slows the healing process, and it may even open the wound up to infection. 'If you get a cut, it is best to let it clot for half an hour', say the researchers. 'After that, it might not be so bad to add petroleum jelly, but before then, from our findings, it appears to damage this film', the researchers add. More info on this natural plaster created to protect wounds from infection. While petroleum jelly may well be your HG beauty and skin care product, that can be used to moisturize dry skin, for chapped lips, lengthening eyelashes or to get thick eyebrows, it may not be a good idea to use it on cuts, burns or wounds, as previously thought. By the way, did you know that you could also use petroleum jelly aka Vaseline for nostril protection when you are in dusty and smoky environments also? 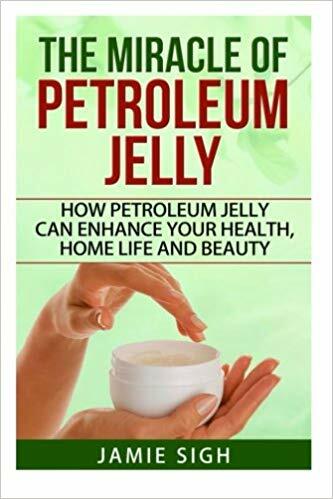 Read more uses of petroleum jelly in this book. So how often do you use petroleum jelly? What other uncommon uses of Vaseline have you come across? 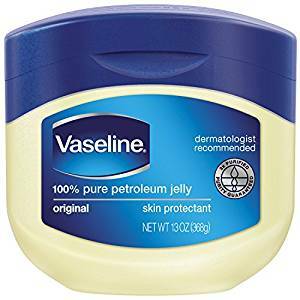 Did you ever apply petroleum jelly when you had a wound or burn and what was your experience with it? Do share in the comments.